Giovanni Trapattoni has won a total of seven UEFA competition titles, the same as Alex Ferguson and Carlo Ancelotti. He is also the only one alongside Udo Lattek to have won the three major European competitions. This is a list of UEFA club competition winning football managers. It includes victories in the European Cup and UEFA Champions League, the UEFA Cup Winners' Cup, the UEFA Cup and Europa League, the UEFA Intertoto Cup, the UEFA Super Cup and the Intercontinental Cup. Italians Giovanni Trapattoni and Carlo Ancelotti, and Scot Alex Ferguson are the most successful managers, claiming seven titles each. As of August 2017[update], Italian managers have won more tournaments than any other nationality, having secured 46 titles, while Spanish managers are in a distant second place with 38 competition victories. Although no manager has ever won all of these competitions, Trapattoni is the only manager to have claimed the title of five different confederation tournaments. Trapattoni and German Udo Lattek are the only managers to have won at least once the three seasonal UEFA competitions: the European Cup, the Cup Winners' Cup and the UEFA Cup. While the Inter-Cities Fairs Cup is considered to be the predecessor to the UEFA Cup, the Union of European Football Associations (UEFA) does not recognise it officially, and therefore successes in this competition are not included in this list. Also excluded are the unofficial 1972 European Super Cup, and the Club World Cup, a FIFA competition. The following lists have been last updated on May 26, 2018. 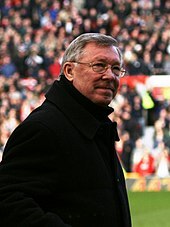 Alex Ferguson, winner of seven UEFA tournaments. Louis van Gaal has claimed five UEFA club tournament victories. Juande Ramos has won three UEFA titles, including two successful UEFA Cup campaigns. Marcello Lippi has won the UEFA Champions League, the UEFA Super Cup and the Intercontinental Cup. Fabio Capello, winner of two UEFA club titles. Bobby Robson won the UEFA Cup in 1981. Aad de Mos has claimed both the Cup Winners' Cup and the Super Cup. Guus Hiddink won the Champions League with PSV Eindhoven. 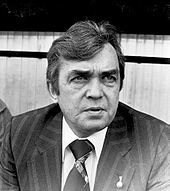 Ernst Happel is the only Austrian manager who has won a UEFA competition twice. Franz Beckenbauer won the UEFA Cup in 1996. Alain Perrin won the Intertoto Cup in 2001. Frank Rijkaard won the UEFA Champions League. "European Cups – Performances by Coach". Rec.Sport.Soccer Statistics Foundation. rsssf.com. 2008-02-06. Retrieved 2008-03-15. "UEFA Cup official history". UEFA. Retrieved 2008-03-15. "UEFA Cup Winners' Cup official history". UEFA. Archived from the original on 2008-03-05. Retrieved 2008-03-15. "UEFA Cup Winners' Cup official history". UEFA. Retrieved 2008-03-15. "UEFA Champions league official history". UEFA. Retrieved 2008-03-15. "UEFA Intertoto Cup official history". UEFA. Archived from the original on 2008-04-08. Retrieved 2008-04-14. "UEFA Super Cup official history". UEFA. Archived from the original on 2008-10-14. Retrieved 2008-03-15. ^ "UEFA Cup: All-time finals". UEFA. 2005-06-30. Archived from the original on 2008-03-09. Retrieved 2008-03-15. ^ "UEFA Super Cup – History". UEFA. Archived from the original on 2010-08-20. Retrieved 2012-08-22.